Has your loved one,friend or colleague just annouced their exciting news? 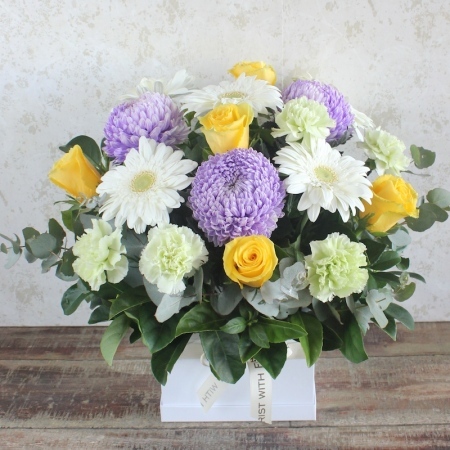 A fresh display of pastel blooms, this beauty is the perfect way to celebrate the arrival of a new born baby. This box arrangement is great for the hospital or home. Perhaps you want to make this gift even more special? Browse our Gift section of soft toys and balloons.